Clemons, 34, was recently released by the Jacksonville Jaguars,where he played the last two seasons after being released by the Seahawks. The Seahawks added some veteran depth to their defensive line Friday by signing Chris Clemons, who formerly played for Seattle from 2010 to 2013 and was a starter on the Super Bowl XLVIII championship team. Clemons, 34, was recently released by the Jacksonville Jaguars, where he played the past two seasons after being released by the Seahawks. Because Clemons was recently cut by the Jaguars, he would not factor into the formula for 2017 compensatory draft picks, which is a key for the Seahawks and makes him a pretty low-risk signing. The Seahawks released Clemons in March 2014, in a move that saved almost $8 million against the salary cap. He then signed with Jacksonville and former Seahawks defensive coordinator Gus Bradley before being released last month. Clemons had eight sacks in 2014 in starting every game for the Jaguars and had three sacks in 2015 when he started eight games. 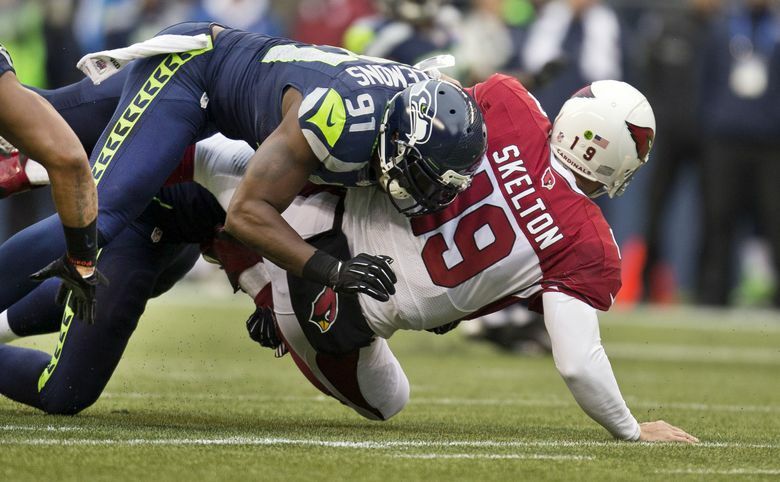 Clemons started 11 games for the Seahawks in 2013 when he had 4.5 sacks, then added another in the playoffs. He was originally acquired by Seattle in 2010 in a trade with Philadelphia. It is expected Clemons will compete for a situational pass-rushing role in his second go-around with the Seahawks. Clemons played 662 snaps for the Jaguars last season and while he had just three sacks, the Seahawks feel he still has enough to perform well as a pass rusher. That’s something the Seahawks needed after losing linebacker Bruce Irvin, who signed as a free agent with the Raiders. While Irvin started at strongside linebacker, he also had a regular role as a rush end in passing downs. Coach Pete Carroll said at the NFL meetings last month the team would likely look to fill Irvin’s roles with multiple players rather than just one. Players such as Mike Morgan and Cassius Marsh will compete for the strongside linebacking duties while Frank Clark will compete to take on more of Irvin’s pass-rushing duties, with Clemons also in the mix for some of those snaps. “We did a lot of things with Bruce,” Carroll said. “He played SAM (strongside) backer for us and also rushed on third down for us. We did everything you can do with a guy I think. I heard he said otherwise, but he did a lot of good stuff. Frank Clark is going to really help us. We think he is going to be a premier rusher. He showed that last year. So losing Bruce as an outside guy on the right side really opens up the opportunity for Frank (Clark) to step up and do some good things for us. Clemons visited the Seahawks early in the free-agent period and then had a later visit with the Dolphins before signing with Seattle on Friday. Cliff Avril and Michael Bennett return as Seattle’s stating defensive ends. Others who will compete for playing time at defensive end include Clark, Clemons and Marsh as well as Ryan R0binson, who was an early standout in offseason drills a year ago before suffering a ruptured Achilles tendon and spending the season on injured reserve, as well as recently signed free agents Josh Shirley (who played for the University of Washington) and DeAngelo Tyson.